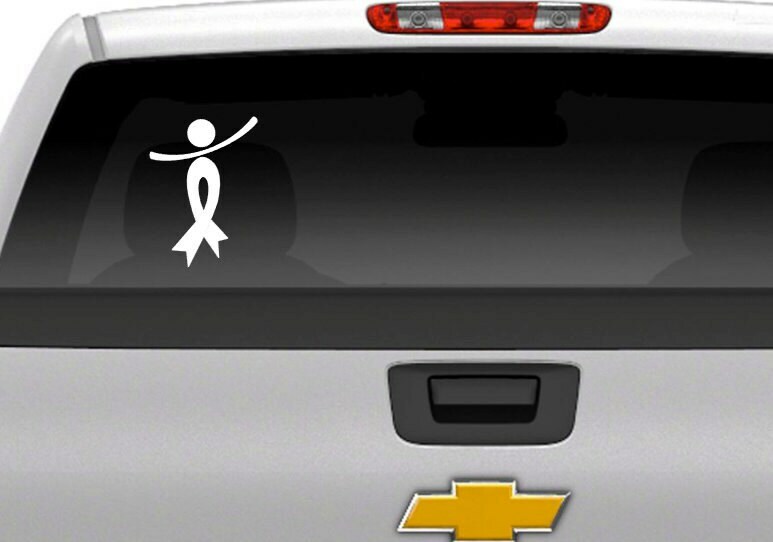 Cancer Awareness Ribbon Vehicle Window Decal. Whether you are a survivor, fighter, or supporter, show your awareness/support for Cancer with this vinyl vehicle window decal. This vehicle decal measures approx 6" h by 4.25" wide and the price is for this size. If you would like a different size please message me and I will give you a price quote. *They can be easily removed and leaves no residue but can not be re-used. Decals are precision cut on a professional vinyl plotter using high quality Oracal 651 vinyl. **All computer monitors show colours differently. 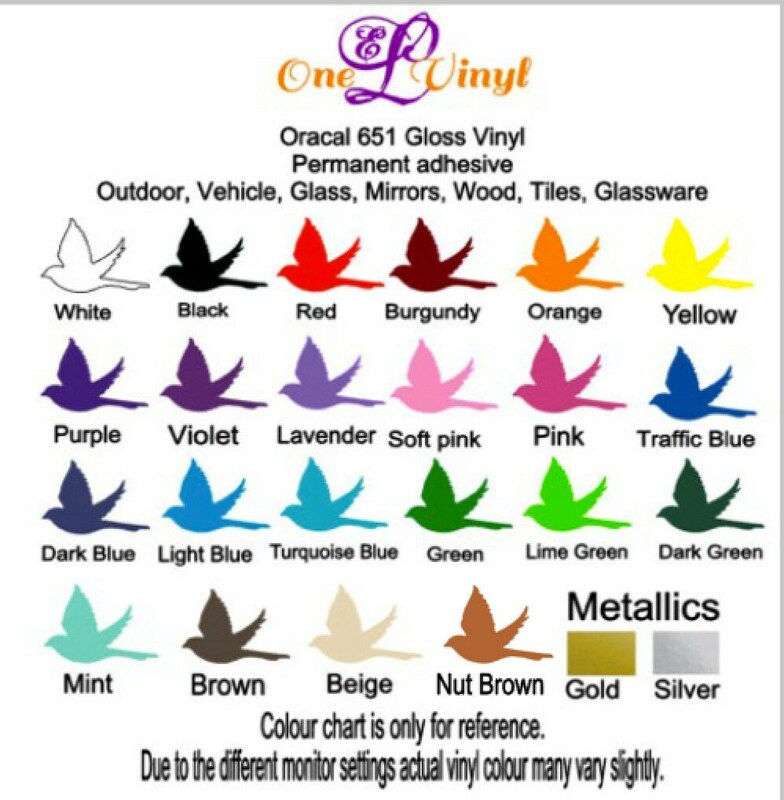 The photos and colour chart in pictures are for reference only and actual vinyl colour may vary slightly. Standard shipping does not include a tracking number. For tracking a shipping upgrade must be purchased at checkout. Delivery outside of Canada can take up to 3+ weeks.